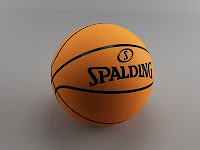 Hi and welcome to another ball 3d modeling lesson. 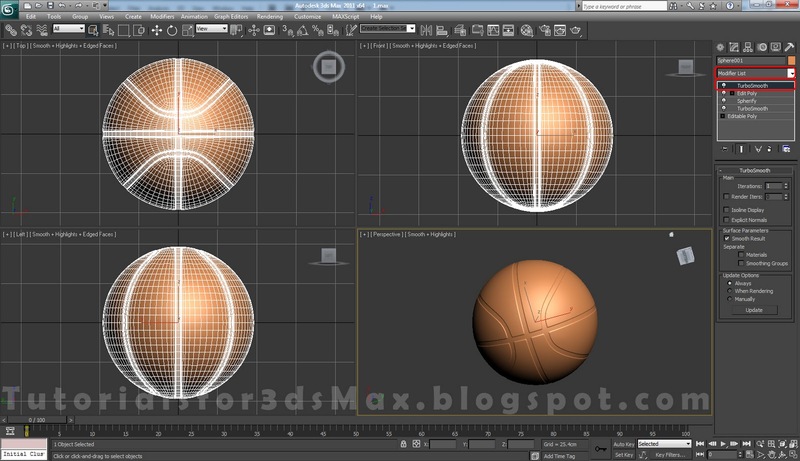 In this 3d modeling tutorial i will show your how to model a basketball ball using 3d Max 2011. We will cover only the 3d modeling process so the image on the left it's only for preview. Let's start 3d modeling. 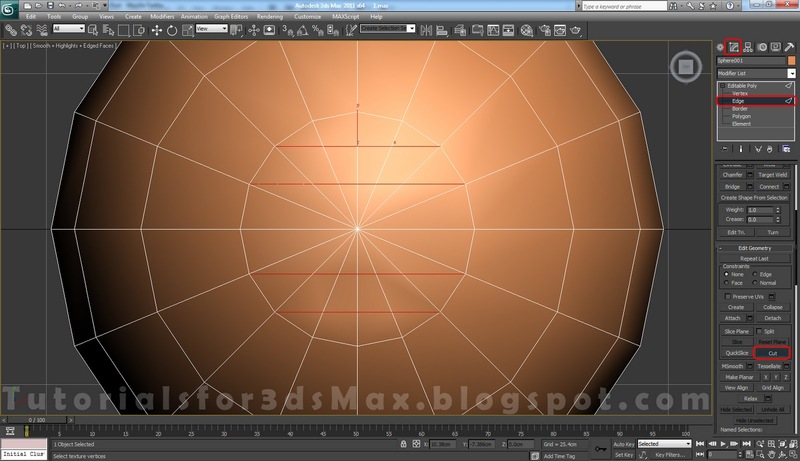 Step 1: Open or Reset Max to begin this 3d modeling tutorial. 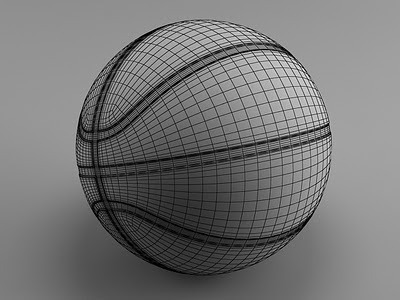 From Create, Geometry create a Sphere with 16 Segments and a Radius of 50cm. After that convert the Sphere to Editable Poly. 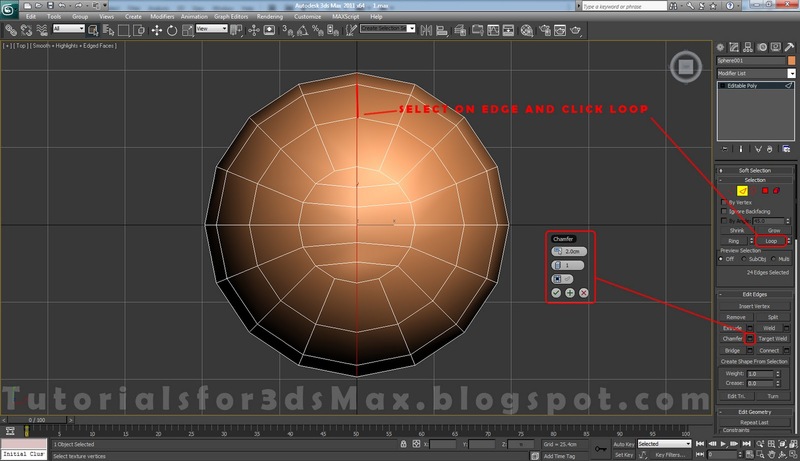 Right click on the screen, Convert to>Convert to Editable Poly. Step 2: In the Top view(press "V" on your keyboard to switch between viewports) from the Modify tab select the Edge selection mode. Using the Cut tool create 4 new segments like you see below. 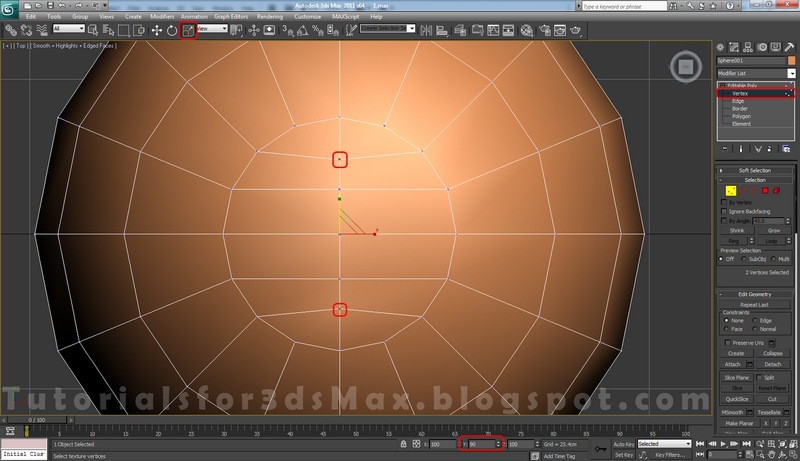 When you move the cursor on top of a vertex you can see it change. Click on the vertex then on the other vertex to make a Cut, right click to finish the Cut. Step 3: Select these edges and holding down CTRL press on Backspace or click on Remove. 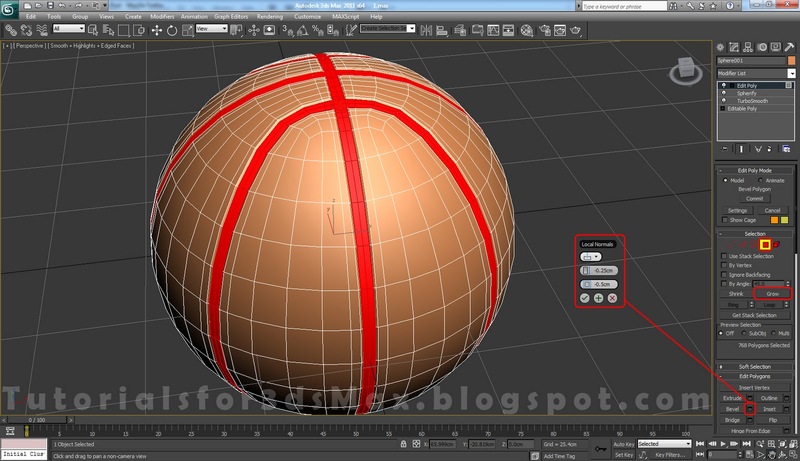 Either way you go don't forget to hold down CTRL, this will remove not only the edges but the vertices to. 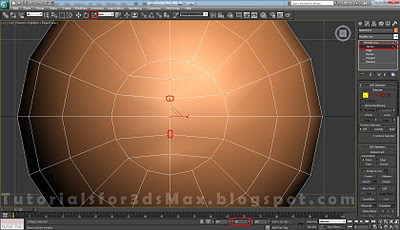 Step 4: In Vertex selection mode selected the two vertices I've marked below and using the Select and Scale tool scale them down in the Y axis direction until 90. 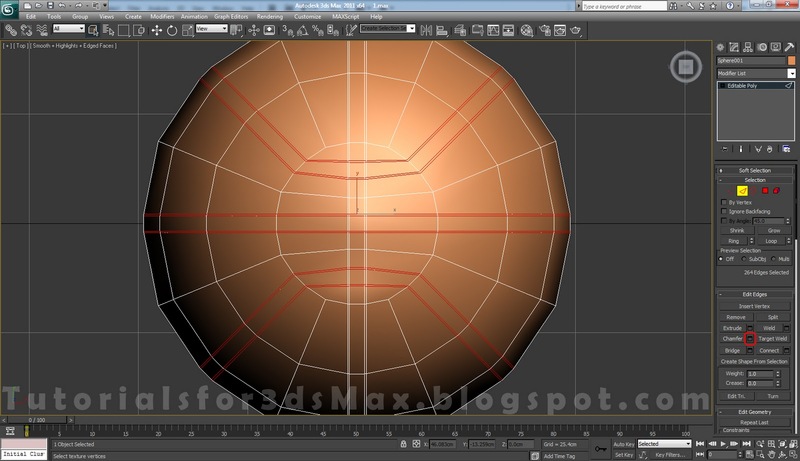 Step 5: Now select the other two vertices and scale them down until 80, also in the Y axis direction. 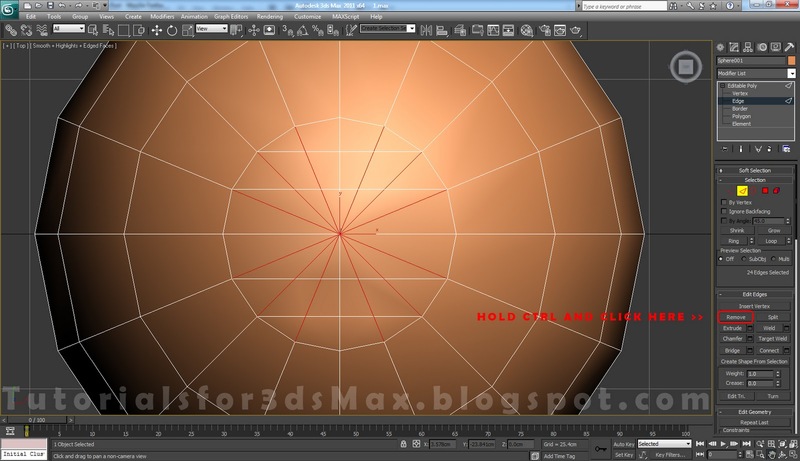 Step 6: In Polygon selection mode select the polygons i've selected. Press DEL on your keyboard to Delete them. Step 7: To continue this 3d modeling tutorial form the Modifier list add a Symmetry modifier and change the Mirror Axis to Z. Convert the Object to Editable Poly again or right click on the Symmetry modifier and chose Collapse to. Click Yes on the pop-up window. 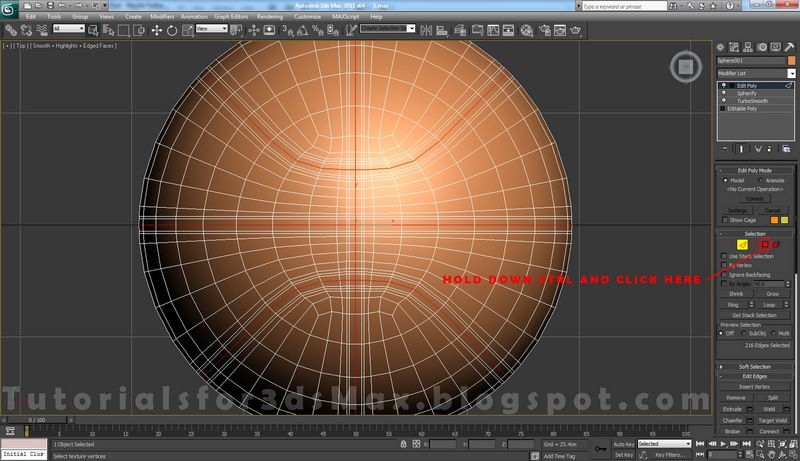 Step 8: First select one edge and after that click on Loop to make a loop selection. After that click on the little box next to Chamfer and change the chamfer amount 2.0cm. Step 9: Chamfer the Edges again only this time change the amount to 0.20cm. Step 11: Chamfer the edges with an amount of 2.0cm and after that with an amount of 0.2cm. 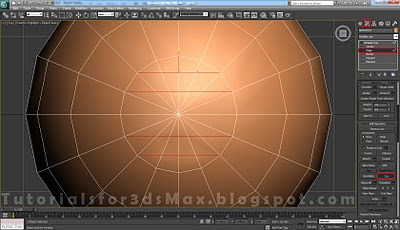 Step 12: Continuing with our 3ds modeling tutorial exit selection mode and from the Modifiers list apply 3 Modifiers. 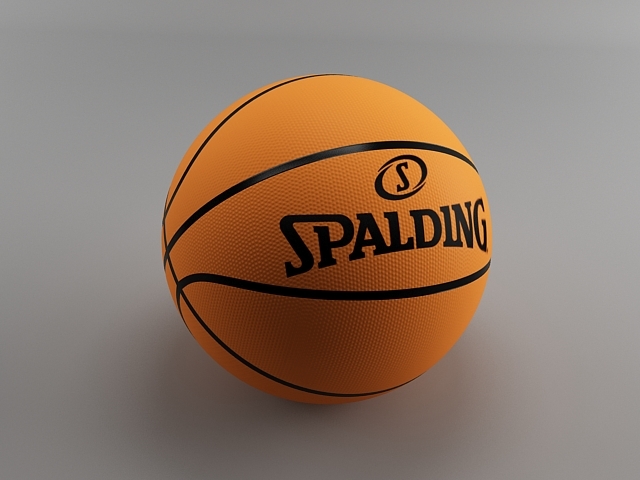 First add a TurboSmooth modifier, second add a Spherify modifier and third add an Edit Poly modifier. Don't change any settings. 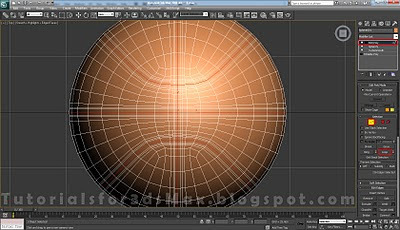 If you want a smoother result change the Turbosmooth Iterations number to 2. 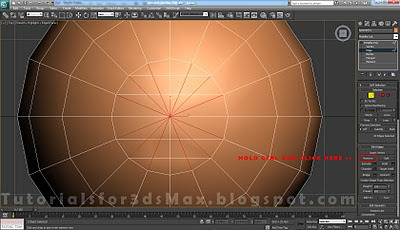 Step 15: With the polygons selected click on Grow one time to grow the selection, after that click on the little square next to Bevel, change the Bevel type to Local Normals, the Height to -0.25cm and the Outline to -0.5cm. 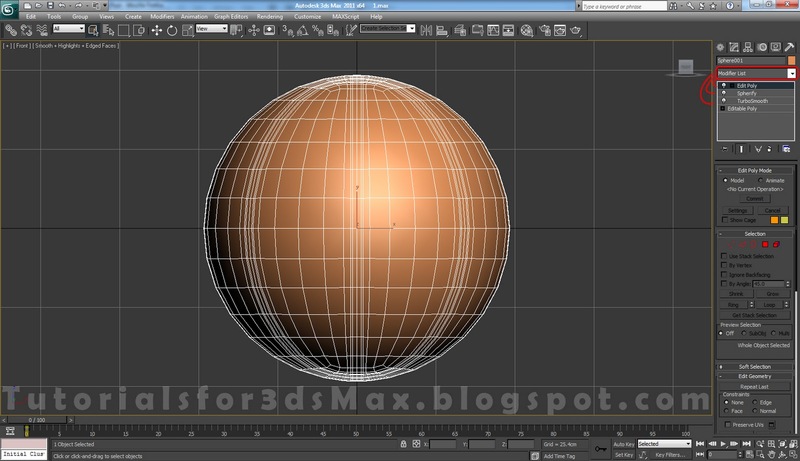 Step 16: For the last step of this 3d modeling tutorial add another Turbosmooth modifier. Done! 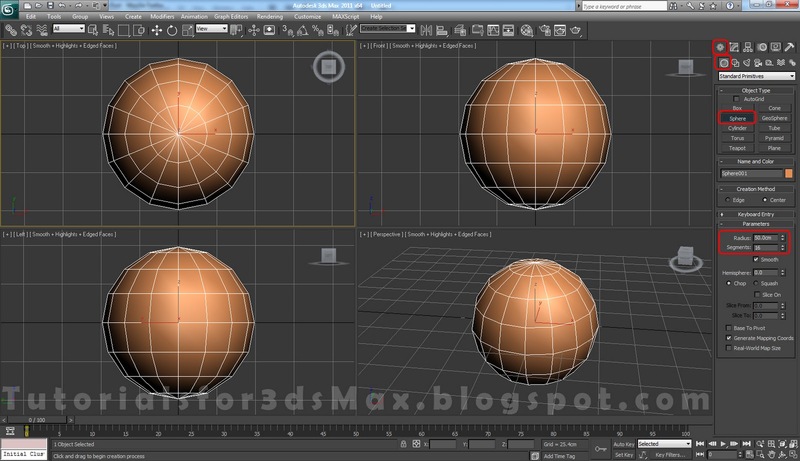 Our 3d modeling tutorial is finished. Comment if you get stuck following this 3d modeling tutorial. About the shutting down problem, i think i may be caused by the CPU. I think the CPU is overheating and shuts it self down to prevent permanent damage. It's something i've read so i'm not sure...i'm don't know that much about hardware problems..sorry if i can't help more! I'm glad to help in any way as long as i know how. Anyway try googling "pc shuts down in render" or something like that to find more qualified answers. Bruno, eu ainda não procurei saber a fundo esse problema. Como trabalho nessa área de informática, o que pode causar desligamento do nada é super aquecimento. Mas pode ser a VGA ou a Fonte também. 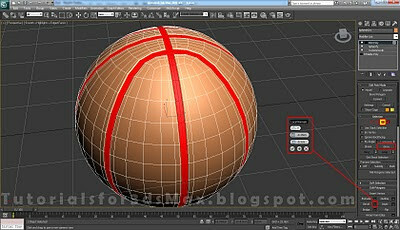 faça uma limpeza nas memórias e troque a pasta térmica do processador, se continuar, teste com outra fonte. Alex, how to make the texture? At home and I will post the result. since the overheating, RAM, the source of the CPU not be standing. 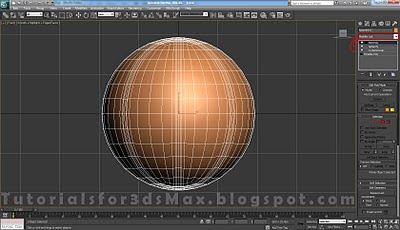 I have not worked much on materials. 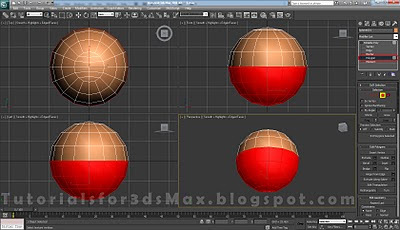 @Berguinho, OK, mate, next i'll make a tutorial about texturing the ball witch will include the Photoshop part also. @Bruno Torres, as usual good result. Hope you'll fix your PC problem. mas pelo que percebi dever ser super aquecimento mesmo. 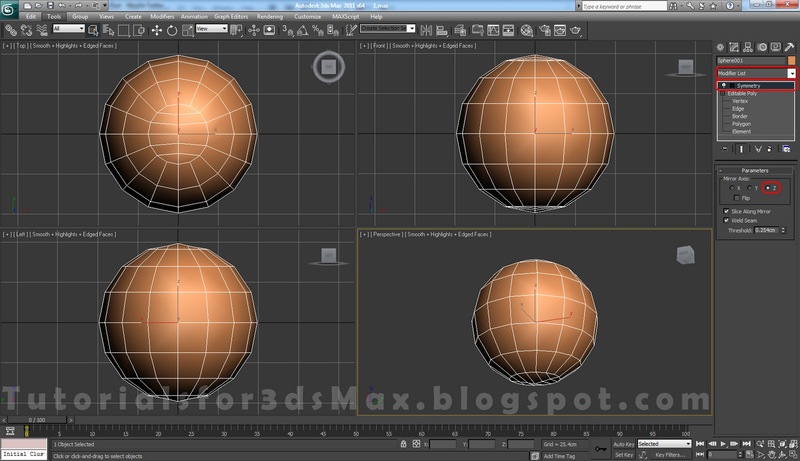 Hi guys, i've added the texturing tutorial at the beginning of the post!